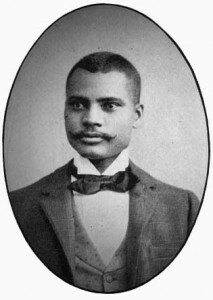 Born in Barbados, Wheatland arrived in Newport in 1894, perhaps due to his association with two notable African American men, M. Alonzo Van Horne and George T. Downing. 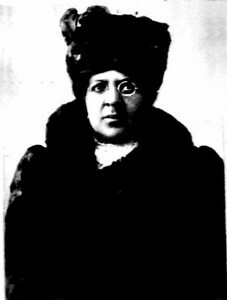 Wheatland married Irene De Mortie, the granddaughter of Downing. 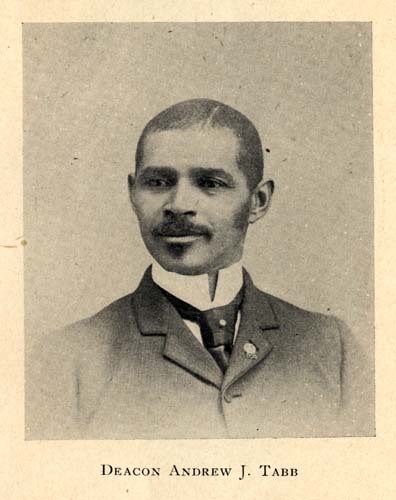 Licensed to practice medicine in Rhode Island in 1895, he is considered to be the first known African American physician to live and practice in Newport. He became the first doctor in Newport to use the X-ray machine as a diagnostic tool. He served as the 11th President of the National Medical Association. Arriving in Newport by the mid 1840’s, George T. Downing would become one of 19th century Newport’s most successful hospitality entrepreneurs. 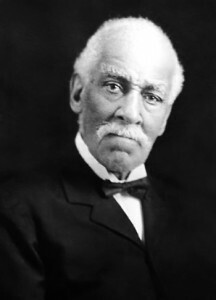 Downing lobbied tirelessly to officially desegregate Rhode Island public schools, beginning in 1857, by which time he was well-established in Newport as the proprietor of the Sea Girt House luxury hotel along with a confectionary and catering business on the Downing Block. He would later lead for the repeal of the state’s ban on interracial marriage, and racial discrimination in the reorganization of the Rhode Island militia. 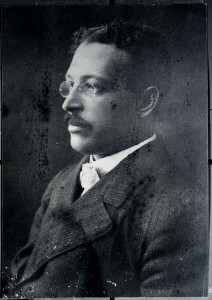 Downing helped purchased Touro Park and founded the American Colored Union Labor League. Mary Dickerson and her husband Silas arrived in Newport from New Haven, Ct. around 1865. By 1872 she established a “Fashionable Dressmaking Establishment” at 5 Travers Block servicing the needs of Newport’s summer residents. In 1896 she was a founding member of the National Association of Colored Women’s Clubs and in 1903 she established the first federation of African American Women’s Club in Rhode Island that is still active to this day. Rev. Van Horne was Pastor at Union Colored Congregational Church between 1868 & 1896. 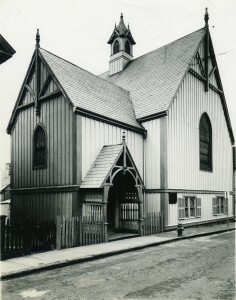 This church was established in 1824 as a religious extension of the 18th century Free African Benevolent Society. 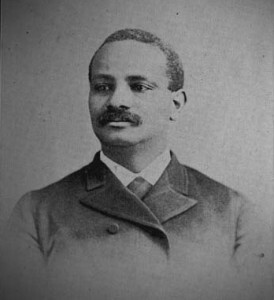 Later Van Horne became the first African American on the Newport School Board in 1871 and the first African American to serve in the RI General Assembly in 1885. In 1898 he was appointed General Counsel to Danish West Indies by President McKinley during Spanish American War. 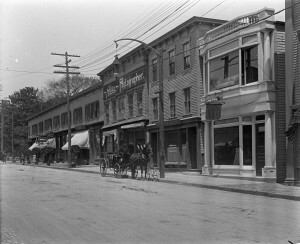 JT Allen and his brother DB Allen came to Newport in 1893 and established several restaurant and catering businesses. He was previously the managing proprietor of the “HYGEIA SPA,” at Easton’s Beach. Soon after they would open a restaurant at 29 TOURO STREET, in the historic Perry Mansion, under the Lawrence Club, one of the most aristocratic clubs of the city. Abbie Mitchell was an African American soprano opera singer who, after completing her secondary education in a convent in Baltimore, studied voice in New York in 1897. In London she premiered in the principal role in the 1903 musical “ In Dahomey” and would later star as “Clara” in the premier production of George Gershwin’s Porgy and Bess. 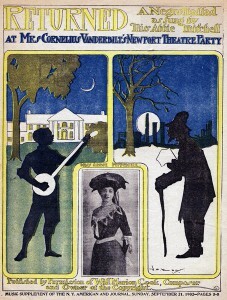 In Newport, Ms. Mitchell appeared at Mrs. Cornelius Vanderbilt’s Newport Theatre Party in 1902. 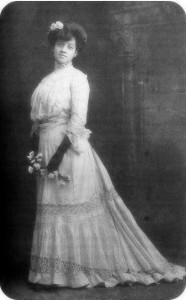 Mrs. Vanderbilt also provided financial support to the Shiloh Baptist Church. 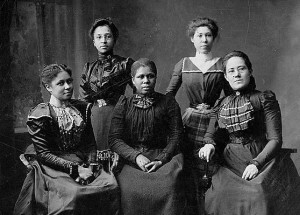 Dr. Harriet A. 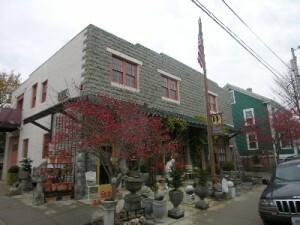 Rice was born in 1866 in Newport and lived a considerable amount of her life in the family home at 75 Spring Street. She graduated from Rogers High School in 1882 and she went on to become the first African American to graduate from Wellesley College in 1887. Soon after she would earn a medical degree at the University of Michigan Medical School. As an African American woman and licensed physician, it was nearly impossible for Dr. Rice to practice medicine at any American hospital. She soon joined the famous social worker and women’s suffrage leader, Jane Adams at the celebrated Hull House in Chicago providing medical treatment to poor families. At the start of WWI, she would leave for France to serve as a physician in military hospitals. On July 1919, the French Embassy presented Dr. Rice the National Medal of French Gratitude for her outstanding services treating wounded French soldiers between 1915 and 1918. Walker Garage Building – Bridge St.
Lindsay R. Walker came to Newport from Culpepper County Virginia in 1860 and he would recruit other African American families to come to Newport after the Civil War. He established a successful transportation business at 9-11 Bridge Street that would remain in the Walker family for many generations. Walker would be a founding partner in the Rhode Island Savings & Loan company in 1905, Rhode Island’s first African American bank. Van Horne was born in Newport in 1871 and graduated from Rogers High School and Bryant Business College in 1889.
in Rhode Island with offices at 22 and 166 Broadway. One of Newport’s most successful 19th century entrepreneurs, Benjamin Burton arrived in Newport in 1845 from Connecticut. 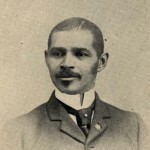 He would later established the “Original Express” company, one of the earliest Black-owned businesses operating in various forms at 4 Travers Block. He was the originator of the Bellevue Avenue Express Line which later extended to the Point and Broadway. During the Summer resort season, he also operated a baggage transfer business. He lived at 35 Levin Street. Armstead Hurley arrived in Newport from Culpepper County, Virginia Around 1886. 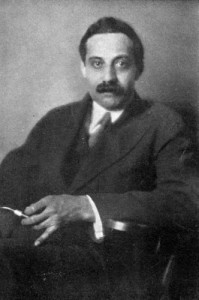 He would soon establish a successful painting business along with being a founding partner in the Rhode Island Loan & Investment Company, the first black-owned bank in Rhode Island. He owned many rental properties on Cross, Thames, Mary and Division Streets. 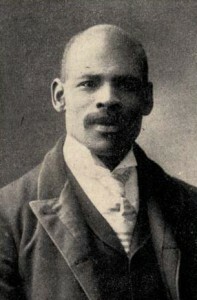 He was also Treasurer of the Shiloh Baptist Church. Andrew Tabb arrived in Newport around 1881 as part of the staff of Newport socialite, Madame C. O’Donnell. 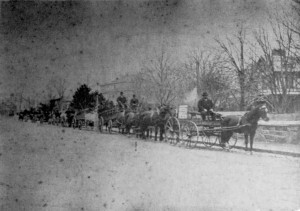 Within several years he established one of the city’s largest livery stables and coaching services at 28 Edgar Court serving the transportation needs of the summer residents. William Stanley Beaumont Braithwaite was a writer, poet and literary critic born on Dec. 6, 1878 in Boston, Mass. 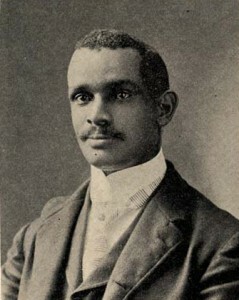 In 1918 he received the Spingarn Medal from the NAACP for outstanding achievement by an African American. Braithwaite owned a summer home in Newport on Prospect Hill Street and hosted literary events in the community.